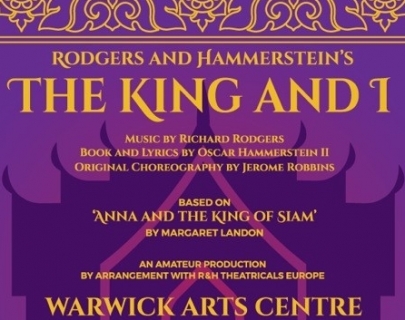 The award-winning Stratford Musical Theatre Company are back and will be performing Rodgers & Hammerstein’s, The King & I. The year is 1862 and widowed British schoolteacher Anna Leonowens has taken up the post of governess to the children of the autocratic King of Siam. Nothing has prepared her for the complexities of this new land and for her fearsome employer, but neither is the King prepared for the effect she will have on him and on his kingdom or the strength of feeling that will emerge between them. Featuring “Getting To Know You”, “Shall We Dance?” and “Whistle a Happy Tune”, this sumptuous Rodgers & Hammerstein musical is a celebration of love in all its guises.